Most folks don't know what these words mean so here is a pictionary for ya. 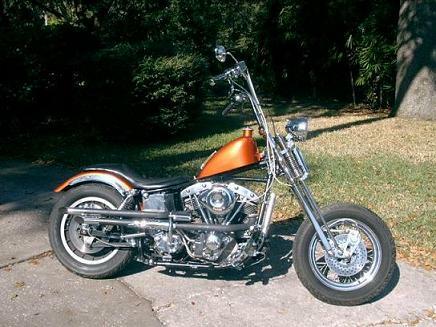 A Harley-Davidson motorcycle that has been stripped, raked, stretched and otherwise modified so as to change its original design. Easily identified by its slim lines, small gas tank, tall handlebars or "Ape Hangers" and long, gracefull front forks. You do not "buy" a CHOPPER - you build it. 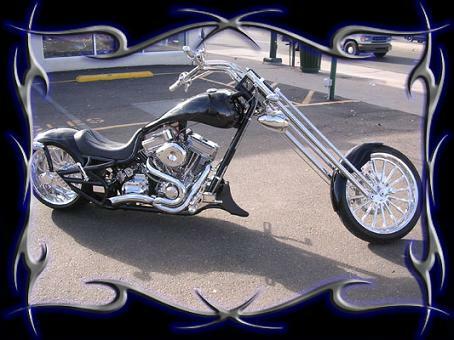 A Harley-Davidson motorcycle that has been stripped of many if not all of its stock heavy weight accessories. It typically has fat tires, a shortened (or no) rear fender, no front fender, large gas tanks and low handlebars. It is totally devoid of all frills. 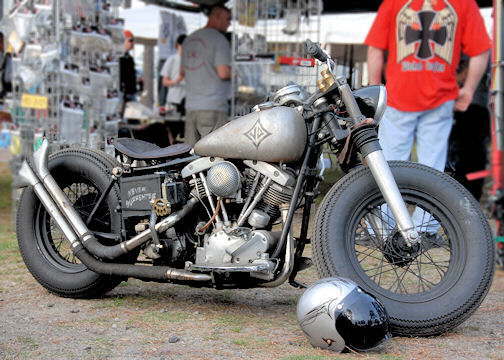 You do not "buy" a BOBBER - you build it. An over priced, accumulation of parts pulled from a catalog and clamped together by a world famous "builder to the stars." 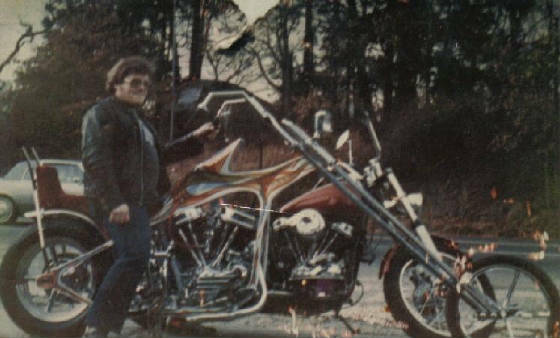 They feature unreliable imported V-Twin clone motors, tinfoil transmissions, obscenly fat rear tires, wafer thin seats built into the frames and they are borderline unrideable for any realistic distance. These bikes are mainly for looking at and bragging to your buddies about how much money you threw at somebody just to win a trophy and look cool (ridiculous) on bike night at the local latte emporium. These are usually the bikes being ridden in TV commercials where the rider is portrayed as a total moron! You do not build a custom bike- you buy it. These start as a Harley-Davidson motorcyle. Easilly identified by their total lack of regard for a need to be classified, defined or pigeon-holed into any one style. Most always built at home in garages or basements by the owner with little or no help from others. Many of the parts are hand made from chunks of steel by the owner without the use of CNC machines or lumps of billet aluminum. Probably the most interesting of all the groups. Certainly the most individualized.